OSHA’s standard on the control of hazardous energy (the OSHA lockout/tagout standard) appears often on the agency’s list of most violated standards. 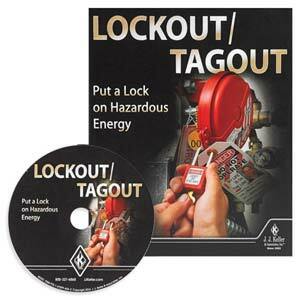 Lockout/tagout training and practice is crucial to keeping your employees safe and in compliance. See below for essential solutions and helpful resources to help your employees practice safe lockout/tagout. 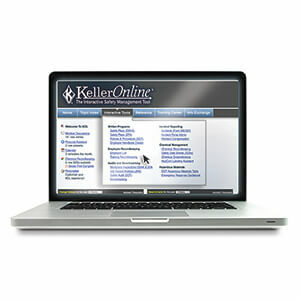 Train authorized, affected and other employees with programs in a variety of formats. 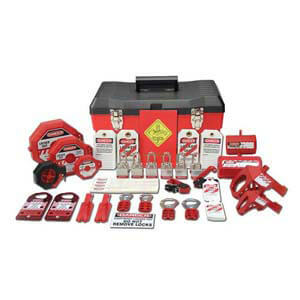 Choose from a wide array of lockout/tagout kits and supplies, including dozens of lockout devices. 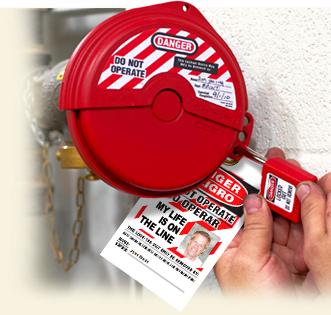 Browse hundreds of NEW lockout tags plus accident prevention tags. Shop labels in several sizes and materials to meet your needs. NEW products! 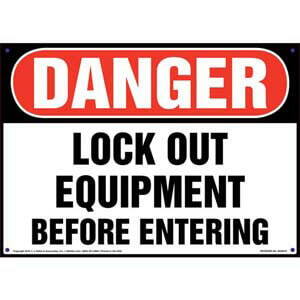 Make lockout/tagout safety messages visible for your employees. NEW products! Our online safety management tool offers key lockout/tagout tools and resources. Ongoing on-site guidance and resources for improving workplace compliance. 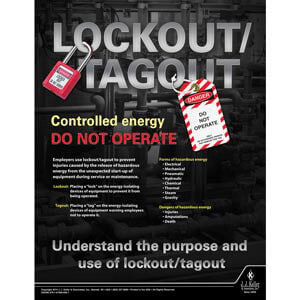 Remind employees about the importance of lockout/tagout. 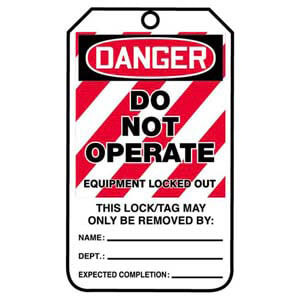 Lockout/Tagout: What’s the Big Deal? Employers are responsible for ensuring the safety of their employees when hazardous energy is involved. Those employees who service or maintain machines or equipment could be exposed to serious physical harm – or even death – if hazardous energy is not properly controlled. 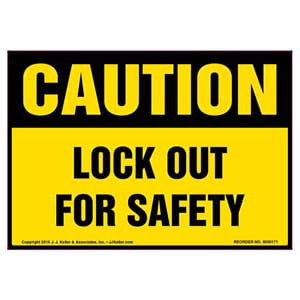 It’s up to you to comply with OSHA’s lockout/tagout standard and keep your employees safe. *Information gathered from OSHA’s Lockout/Tagout Fact Sheet.